I love Pad Thai, but our local restaurant won’t serve a lunch size portion at dinner, and a dinner portion is way too much food for one meal. Heck, it’s way too much food for several meals. So, after bringing home leftovers and enjoying them as is for one meal, I still had a heaping pile remaining. 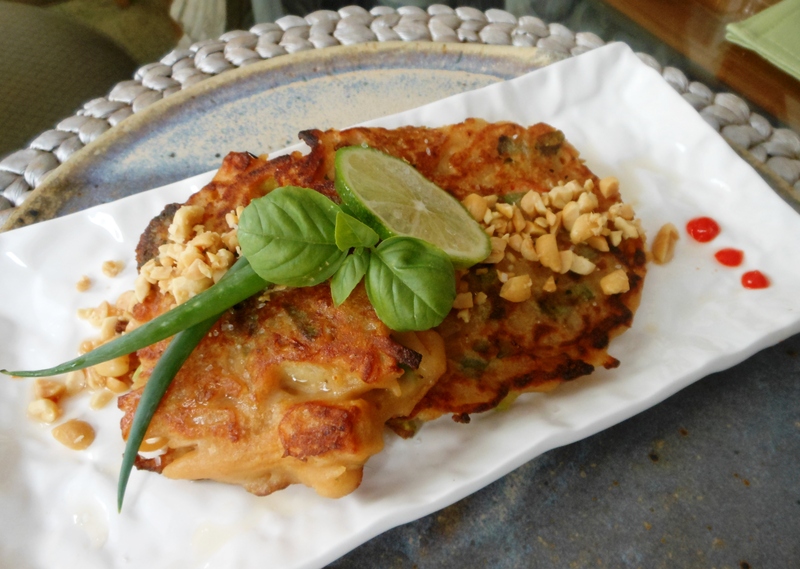 Recently fantasizing about Vietnamese crispy pancakes, I decided to fold the Pad Thai into a pancake batter made with all purpose flour for structure combined with rice flour for lightness and authentic flavor. 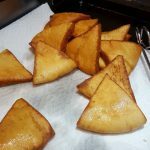 Be forewarned: these are NOT crispy, as you can’t fold noodles into pancake batter, even pancake batter made with rice flour and veggie stock, and wind up with a crispy cake. But, they are still delicious, not to mention easy, filling, and quite pretty. You could serve any kind of Asian-inspired sauce over the pancakes that you like, but I found a sprinkle of vegan fish sauce with 3 dots of sriracha to be perfect. The bright red of the sriracha is a snappy color contrast to the green scallion tips, lime, and basil, and a zesty counterpoint to the other flavors. 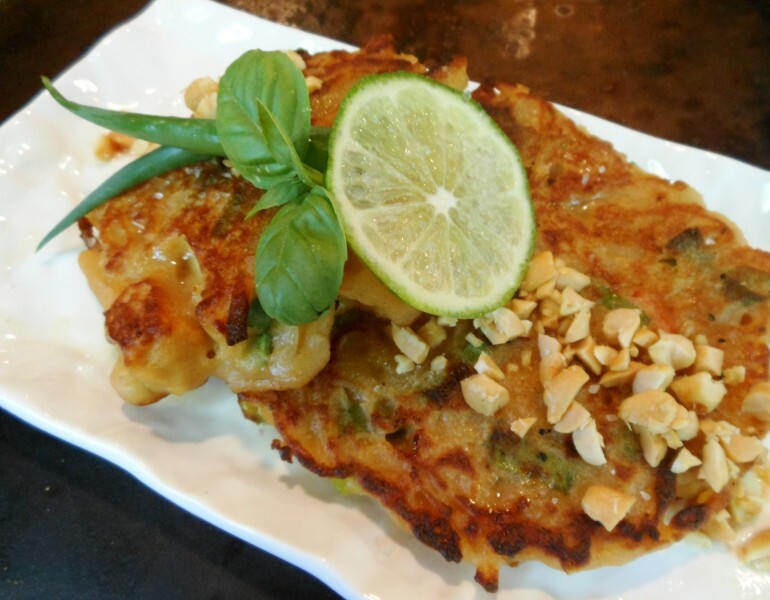 I thought the three little dots were cute–and just enough to swipe a bit of the pancake through on it’s way to my mouth–but drizzle on more or mix it with a peanut-lime sauce if you choose. Whatever you do, enjoy your restaurant leftovers re-imagined! In a medium bowl, whisk together both flours. Then gradually whisk in vegan fish sauce, stock, and sea salt if needed to make a batter. Using a fork, fold in scallions, followed by leftover Pad Thai. Heat 1 tablespoon oil in a cast iron skillet over medium-high, swirling to completely coat bottom of pan. Using a 1/3 cup measure, scoop up 1/4 of batter and carefully transfer to skillet, smoothing and spreading to about 1/3 to 1/2-inch thick. Repeat with another 1/4 of batter. Cook 2 pancakes at a time for about 1/2 to 2 minutes on each side or until golden brown and done all the way through. Transfer to plates, keep warm and repeat with remaining tablespoon of oil and batter. 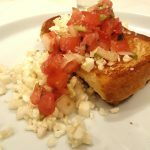 Serve immediately garnished as desired with green scallion tips, slices of fresh lime, chopped peanuts, and/or dots of sriracha. If you live in or near Washington, D.C.–or are lucky enough to visit our nation’s capital and one of my favorite cities (it never seems the same twice! )–put Restaurant Nora on your dining to-do list. For the last two years, we’ve traveled to D.C. with different couples to ring in the New Year. 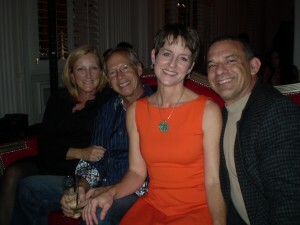 This year we went with our good pals, Jonell and Scott Walthall, staying at the W Hotel again this year. 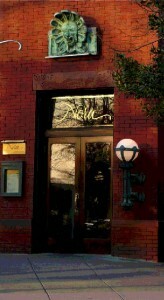 It is hip and stylish and ideally located between the Washington Mall (NOT a shopping mall!) and the White House. In trying to choose the perfect spot for a New Year’s Eve dinner, I recommended Nora’s in Dupont Circle, the first restaurant to be certified organic in the U.S. But my connection to the restaurant goes even deeper. 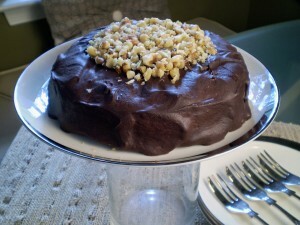 I first learned of it years ago when my good friend, Anne Wolcott, shared Nora’s recipe for Chocolate Carrot Cake that had been published in a culinary magazine. Anne had it made for her wedding cake and shared it with me, requesting it at some point later for her birthday. At the time, chocolate and carrots sounded perfectly odd together–a forced pairing that didn’t seem necessary or even desirable. 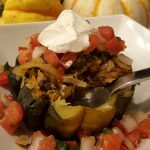 However, when I was developing recipes for The Blooming Platter Cookbook–whose focus is seasonal–and was in need of a spring dessert, I decided to veganize and adapt the original vegetarian recipe and see what I thought. I adored it! And I hope you will. 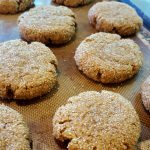 The recipe follows at the end of this post. Back to Restaurant Nora…I asked Jonell if she would mind doing a little investigating to see if it would be appealing to the three omnivores in our party, as I didn’t want to speak for them. 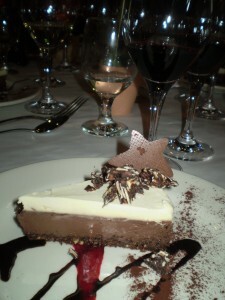 She discovered it to be an optimum choice, offering a 5 course omnivorous prefix meal AND a 5 course vegan prefix meal. The only difference between the two–besides the obvious–was that the omnis had several choices for all but the first course and I only had one. But one was all I needed. Each course was perfection! The meal was light, but plenty filling, full of flavor, stunningly presented, and timed impeccably for an ideal rhythm and flow throughout the evening, lasting about two hours and 45 minutes from start to finish. Plus, the restaurant itself is so warm and inviting. The modern-with-traditional-roots appearance of the Amish and Mennonite quilts that hang on the exposed brick dining room walls embody one of my favorite aspects of Nora’s: a fresh take on classics. Following are photos of each course (I apologize for the poor light quality), ending with my Chocolate Carrot Cake recipe. But first, here is our party in the lobby of the W ready to hail a cab to Nora’s. 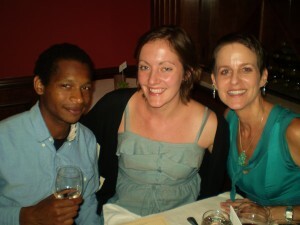 My stunning orange dress came from Zara’s that day (on sale! ), purchased because Jonell and I had both packed long-sleeved black dresses, black tights, and black ankle boots. No way was I going out dressed as the Bobbsie Twins! My necklace and earrings are from Terri Lindelow’s “Cluster” series. 1) The first course for all of us was this diminutive but flavorful triangular slice of winter squash and wild mushroom terrine. 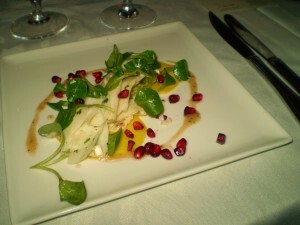 2) My second course was a shaved hearts of palm and mango salad with pomegranate seeds and a citrusy dressing. (Hearts of palm always remind me of my father; he adores them and we usually put a tin of them in his stocking , but the socks he requested took up most of the space this year.) I have never been served hearts of palm shaved and it was a really nice way to enjoy them. 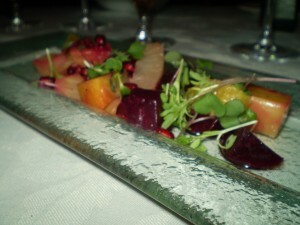 3) Up next was this shimmering landscape of roasted beets with fresh fruit: juicy and simultaneously earthy and bright. It was almost to beautiful to eat. Almost. 4) The most filling of the dishes was, of course, my entree. 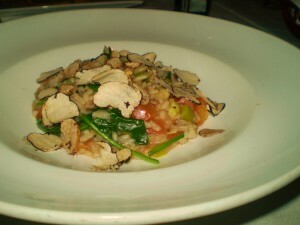 Still, it wasn’t too much: a creamy and flavorful vegetable risotto with decadent truffle shavings over the top. 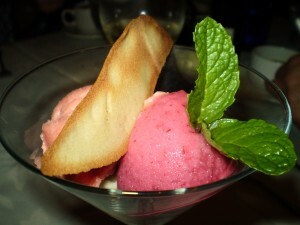 5) For dessert, hot tea plus a trio of fresh fruit sorbets and a cookie called a “Cat’s Tongue. When my friend Anne Wolcott raved about the chocolate carrot cake she served at her wedding, “mouth watering” was not the first thought that came to mind. I adore both chocolate and fresh spring carrots, but I didn’t think they could be happily married. However, Nora Pouillon of the eponymous Restaurant Nora in Washington, D.C., knew exactly what she was doing as culinary match-maker. Her cake inspired my vegan version. 1. Cake: Preheat the oven to 350ºF. Grease and flour a 9-inch round cake pan. 2. In a small bowl, whisk together the soy milk and vinegar. Set aside to curdle, whisking a couple of times. In a large bowl, whisk together the flour, sugar, cocoa powder, cinnamon, baking powder, baking soda, and salt. Make a well in the center of the dry ingredients and add the soy milk mixture, walnut oil, and vanilla. Stir until all ingredients are well combined and no lumps remain. Stir in the carrots. 3. Transfer the batter to the prepared pan and bake for 25 to 30 minutes or until a wooden pick inserted in the center comes out clean. Let the cake cool in the pan on a wire rack for 10 minutes. Run a knife around the side and then invert onto the rack to cool completely, covered with a kitchen towel. Transfer to a serving platter. 4. Ganache: In a double-boiler, heat the chocolate chips until melted, stirring frequently until smooth. Alternatively, you may heat them in a microwave-safe bowl at 20 to 30 second intervals in the microwave, whisking after each. Remove the pan from the heat and quickly whisk in the sour cream. 5. To assemble: Frost the top of the cake with the ganache, allowing some to cascade over the edges. 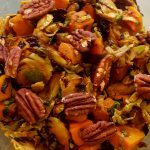 Garnish with pecans or walnuts. 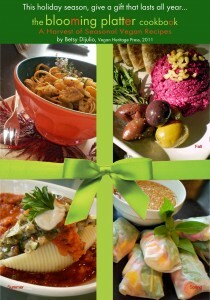 For 150 additional recipes, treat yourself to The Blooming Platter Cookbook: A Harvest of Seasonal Vegan Recipes. Okay, I know I have some explaining to do…Ruth’s Chris Steak House? Well, you see, after we went to the movies one night this past December, my husband Joe and I headed over to a wine bar we like, only to find it was closed for a private holiday party. Not wanting to drive anywhere else, we considered our options and chose nearby Ruth’s Chris, opting to dine in their attractive bar with its dark, gleamy and very appealing “men’s club” aesthetic. Unfortunately, my husband isn’t a vegan–or even a vegetarian–so ordering was no problem for him. However, for me, I think there were only two choices on the menu: tempura-battered onion rings and asparagus. But since seasonal cooking and eating is my thing, I just couldn’t do asparagus in December. Fortunately, I’d had a healthy snack before the movie, so we chose to split the onion rings which the bartender confirmed were vegan (a soda water and flour batter) after checking with the kitchen. I have never seen such colossal rings in my life. A mere five came in an order, but I could only eat two and Joe one. Because they were so substantial, I couldn’t bear not to bring the last two home. But I wasn’t in the mood for a couple of honkin’ onion rings the next day, so I decided to do a “Restaurant Redux” inspired by my husband’s side dish of creamed spinach which I remember loving at Ruth’s Chris during my vegetarian days in Nashville. The rings are so tall that they make almost a cup form. And the farmer’s market had gorgeous heads of kale that they had just cut, so I decided to fill the onion ring cups with “Creamed” Kale instead of spinach. With half a can of leftover white beans in the fridge, I decided to make the “cream” out of the beans, nutritional yeast, and unsweetened soy milk. The result put less emphasis on the cream and more on the greens, but was still silky, luscious and reminiscent of the Ruth’s Chris specialty. I simply heated the onion ring cups, filled them with the “Creamed” Kale, and served them surrounded by Ruth’s Chris’s special sauce which has a tangy sweet-hot Asian flare. Even if you don’t happen to have onion rings-on-steroids on-hand, the filling is delicious on its own. With this recipe, you can enjoy a little taste of Ruth’s Chris without all the death and dying. Preheat oven to 350 degrees. Place onion rings on a terracotta stone or an oiled or Silpat-lined baking sheet and heat for 10 minutes. Meanwhile, combine beans, nutritional yeast, soy milk, salt, and nutmeg in a food processor and process until smooth. Heat oil in a large cast iron skillet over medium-high. Add kale and a pinch of salt and garlic powder, and saute for about 5 minutes or until tender, but still bright green. Reduce heat to medium and stir in bean mixture. Heat, stirring continually, for about a minute or until “cream” is heated through. 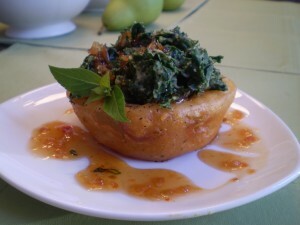 Spoon kale immediately into the onion ring cups and serve with the sauce drizzled around the onion rings and over the kale. Note: I actually used this much filling for two onion rings because that’s all I had, but it would fill four of them generously. 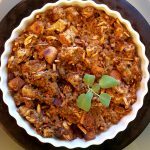 For 150+ additional seasonal recipes for someone on your holiday list, I invite you to consider The Blooming Platter Cookbook: A Harvest of Seasonal Vegan Recipes. 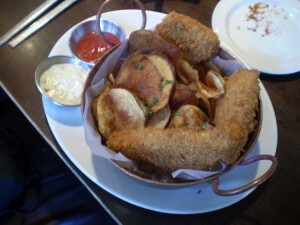 My Friends and I Ate Like (Vegan) Field Hands at Founding Farmers in D.C.
Vegan "Fish" and Chips at Founding Fathers Restaurant in D.C.
What’s better than introducing two of your nearest and dearest? Nothing, unless it’s introducing them over a fabulous lunch at the hip and eco-sensitive restaurant, Founding Farmers! In the middle of July, Allison Price, a close friend from my time in Nashville some 20+ years ago, spent a week here in VA Beach. In the middle of the week, she and I headed to D.C. for an overnighter. Our visit included lunch with Sonya Harmon, another close friend from some 10+ years ago when we worked together at the Contemporary Art Center of VA, followed by the Hirshhorn Museum and Sculpture Garden and the National Gallery of Art Sculpture Garden. Allison, Betsy and Sonya at Founding Fathers in D.C.
Sonya now lives in the D.C. area and generously took the afternoon off from work so that she could join Allison and I for lunch and a little museum-going. Both of these gifted gals coincidentally now work as editors and feel they’ve known each other for a long time. Our lunch destination was Sonya’s spot-on recommendation. Another coincidence: Joe and I and another couple with whom we spent New Year’s Eve in D.C. had tried to get into Founding Fathers for brunch on New Year’s Day, but it was too crowded. I am patting myself on the back for trying it again, as I enjoyed one of the most satisfying restaurant meals in recent memory. Granted, the company was tops, which added to the experience immeasurably, but the restaurant was beautiful and comfortable in an eco-chic way, the service friendly and professional, and the food outstanding. I splurged on the vegan “Fish” and Chips from their vegan menu and, for the record, I did NOT eat all of the chips and fries! 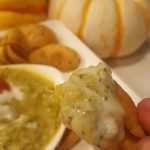 But I devoured the fried tofu “fish” and wasn’t hungry again until 9 p.m., and then only because our hotel, Hotel Palomar (fabulous!) at 2121 P Street, NW, was next door to a magnificent Moroccan Restaurant called Marrakesh Palace where we dined on soup, chickpeas, and homemade bread spread with this nearly indescribable “pesto” of tomatoes, onions, garlic, celery, carrots, olives and olive oil. 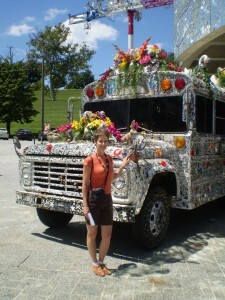 The next morning, Allison and I drove to Baltimore with one destination in mind: the American Visionary Museum. It came highly recommended by Trish and Ken Pfeifer, local collectors of “outsider art” among other genres who make an annual sojourn to the museum, and we weren’t disappointed. In fact, we were thrilled. It was such a refreshing change of pace from the rarefied atmosphere of the “Fragments of Time and Space” temporary exhibition at the Hirshhorn and their too often BS-ridden text panels. A couple of pieces in the exhibition were noteworthy. But too much of it fell in the “Emperor Has No Clothes” category. Don’t get me wrong: I love contemporary art, worked as a contemporary art museum education director for 11 years, and frequently incorporate it into my studio art classes. But precisely because I find so much of it so deeply meaningful, I cannot abide pseudo-intellectual/academic art or writing about it. Sorry folks: too often the emperor has doffed his drawers! The American Visionary Museum proved to be a peak artistic and cultural experience, worth enduring the stop-and-go traffic during our 6-hour ride home (which should have taken about 4 1/2). Al and I talked until we were hoarse. In fact, that morning, our eyes and mouths had snapped open simultaneously and we didn’t close them for a good 15 hours! 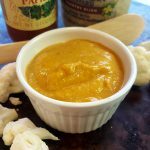 So far, I’ve found nothing that isn’t enhanced by my new summer rave: Romesco Sauce! Though I’ve cooked for as long as I can remember, Romesco Sauce never appealed…something about breadcrumbs in a sauce. Boy, had I been missing out! But all that changed in July when we enjoyed the last of several of my birthday dinners this year–I like to stretch it out–at the amazing Ubuntu in California’s Napa Valley. This veg restaurant deserves its Michelin stars in 2010 and 2011 and then some! Their bar snack of chick peas enrobed in a delectable Romesco Sauce created a near obsession. Because the sauce recipe I created made a “gracious plenty,” as they say down South, I found several ways to enjoy it. If golden grape tomatoes are still coming in in your area, be sure to try both my Vegan Golden Grape Tomato Tart with Spinach Pesto and Spicy Romesco Sauce and my Vegan Spicy Chickpeas Romesco a la Ubuntu featuring this delectable sauce. And, definitely, before the last of the summer corn is gone, try this recipe which is less a recipe and more of a “procedure” with plenty of flexibility. Preheat oven to 450 degrees. Pour olive oil into roasting pan and then roll each ear of corn in the oil, leaving them in the pan. 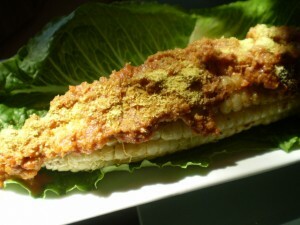 Sprinkle the corn with approximately 2 tablespoon of nutritional yeast, total, and a pinch of salt, turning to coat. Roast for 20-25 minutes, turning after about 10 minutes, until desired color is achieved; just avoid drying it out. Remove the corn from the oven and, when cool enough to handle, spread each cob with approximately 2 tablespoons of Romesco Sauce and sprinkle with a couple of teaspoons of nutritional yeast. Serve on a lettuce-lined plate if desired. And for a special touch, tie a strip of the reserved husk in a knot or bow around the “stem” end of the cob. 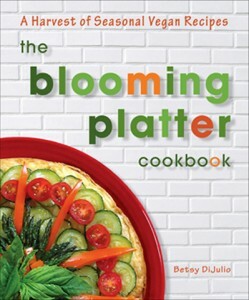 For 150+ additional seasonal recipes not on this website, I invite you to explore The Blooming Platter Cookbook: A Harvest of Seasonal Vegan Recipes. I thought my initial experience was spectacular and I would hazard a guess that many, if not most, of this gourmet restaurant’s patrons are not necessarily vegetarian or vegan, just lovers of delicious, beautiful and creative food. I was so enchanted by it that I purchased one of their cookbooks and it has remains a source of inpiration. So, when my dear San Francisco friend, Yvette Hetrick, suggested a private West Coast book-signing dinner for The Blooming Platter Cookbook in combination with a trip to the West Coast to celebrate one of my “milestone” birthdays, the Millennium leaped immediately to mind. Planning the party for 30 in the restaurant’s private “Millennium Wine Room” with the help of general manager, Alison Bagby, was a delight. 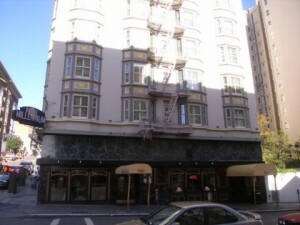 Now in a new location on Geary Street, but still connected to a hotel, the food and atmosphere are as appealing as ever. 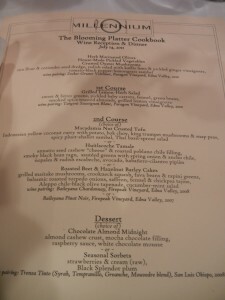 For a very affordable price of $50 per person, not including wine (more on this soon! ), the chef offered three appetizers (including corn flour-dusted fried oyster mushrooms to die for–reminiscent of fried calamari–and everyone’s favorite); a delightfully fresh salad with a lemony dressing; 3 different entrees with beautiful sides and sauces (an Asian crusted tofu, a tamale, and a beet-and-barely cake); and either sorbet or my choice: Chocolate Almond Midnight, the restaurant’s signature dessert. I felt like a had a real grown-up vegan meal this week in an Italian restaurant, which is fairly rare in our area! 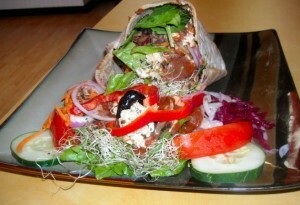 Other ethnic restaurants like Chinese, Indian, Mediterranean, Thai, etc., seem to have many more protein-rich options. But, Italian restaurants can’t seem to do much better than pasta with veggies, which, however tasty, is fairly high in calories and low in protein. But that was before La Bella Italia in Virgina Beach recently introduced a whole vegan menu (on the back of their specials menu). Kudos to them! 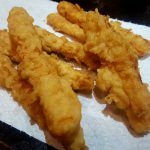 If you live locally, or happen to visit the Hampton Roads area of Virginia in the eastern part of the sate, I highly recommend the dishes created around Gardein brand faux “chicken,” as the rest of the vegan menu is made up of items from their main menu that are naturally meat- and dairy-free. I ordered the mushroomy Marsala, as you see here. But this is only half of the order! It was so large (at $18.95) that I brought half home and enjoyed it for lunch the next day. I spruced it up a bit for its photo op, arranging the “side” of vegetables (sauteed zucchini–of which there was none leftover for my lunch–red bell pepper, and onion) over the top and adding a sprinkle of pistachios and a couple of basil sprigs (which I highly recommend!). 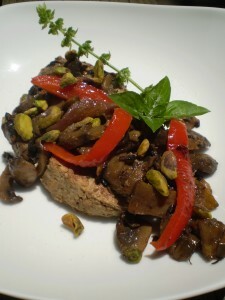 With several other Gardein dishes on the menu, one even with vegan cheese (! ), I can’t wait to go back. At long last, there is an Italian/continental restaurant in our repertoire that my husband and I enjoy equally. If you live in the Hampton Roads, Virginia, area or if you come for a visit, run, don’t walk–actually, take your fuel efficient vehicle–to the Ocean View section of Norfolk for food that fairly bursts with nearly indescribable flavor and color. 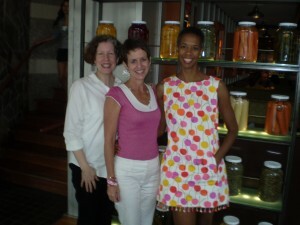 Days later, I am still fantasizing about the meal I had at Quenna’s Raw and Vegan with my good friends Becky Bump and Sharon Tanner last Tuesday night. Plus, the restaurant, with its persimmon colored walls and furniture with a nod to the islands, feels fresh and modern. 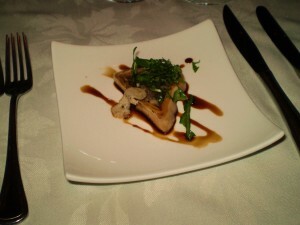 I didn’t think to take my camera, so the dish depicted–not what we ordered, but representative of the fare–is from Heidi who blogs at Fighting with Food. 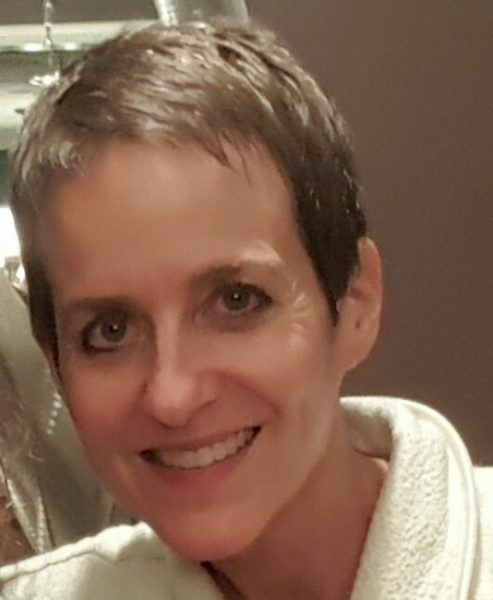 Please visit her there and, Heidi, I hope you don’t mind that I used your photo. If you do, just let me know, and I’ll remove. Tuesdays feature Tofu Tuesday specials that I couldn’t pass up. I chose a creamy-firm tofu mixture, flecked with colors and texture and seemingly kissed with the brine of the sea, wrapped inside a nearly transparent “ryce” wrapper. 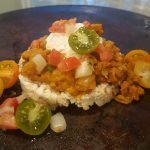 A trio of these delectable packages was served alongside an open-faced red bell pepper piled with “kush,” bulgar wheat bound together with just enough of a flavorful reddish sauce to hold it together. Sliced cucumber and tomato along with a handful of fresh lettuces dressed the beautiful plate. Red Bush Tea was the perfect accompaniment on a frigid night. Raw food on a “raw” and cold winter night in southeastern Virginia may not sound appealing. But I found the preparations so exciting that I didn’t even think about whether they were raw–or cold–just delicious. Not being a “raw food” aficionado, the tastes were delightfully and seductively unfamiliar to me and I can’t wait to go back until they are familiar and then go back some more!